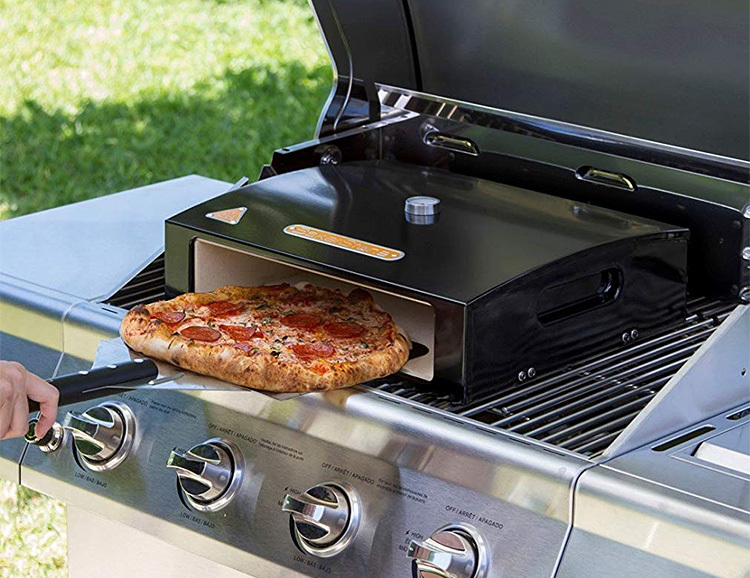 The Bakerstone turns your grill into a pizza oven, giving you an easy and foolproof way to make homemade pizzas outdoors & without having to buy a separate appliance. Just drop it on your gas or charcoal grill and once heated, it will cook your 12” pizzas in just 2 to 4 minutes plus you can use it roast meats, veggies, & bake cookies & bread as well. 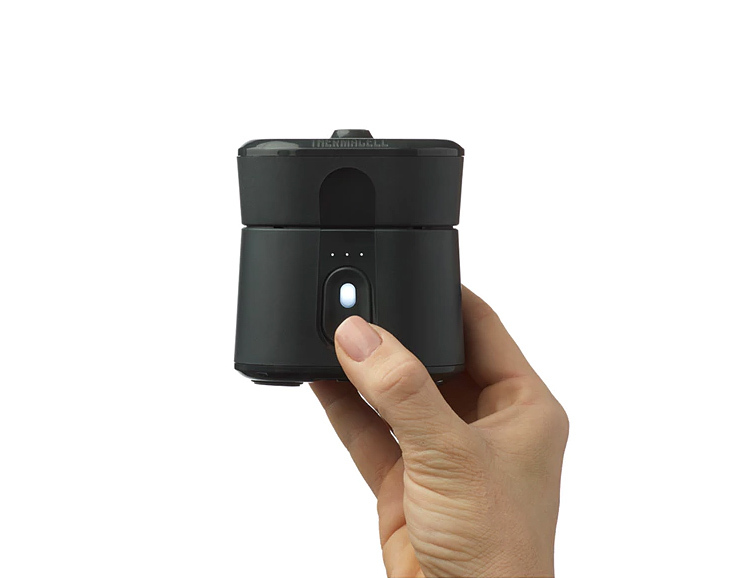 Radius is the world’s first rechargeable, EPA-approved, zone mosquito repellent. It’s a portable, pocket size device that will keep mosquitoes away without any nasty chemical pesticides. Using a small amount of scent-free repellent, which it warms up, it creates a 110-square foot zone of protection. On a full charge, it will run for 40 hours. Another funded Kickstarter. 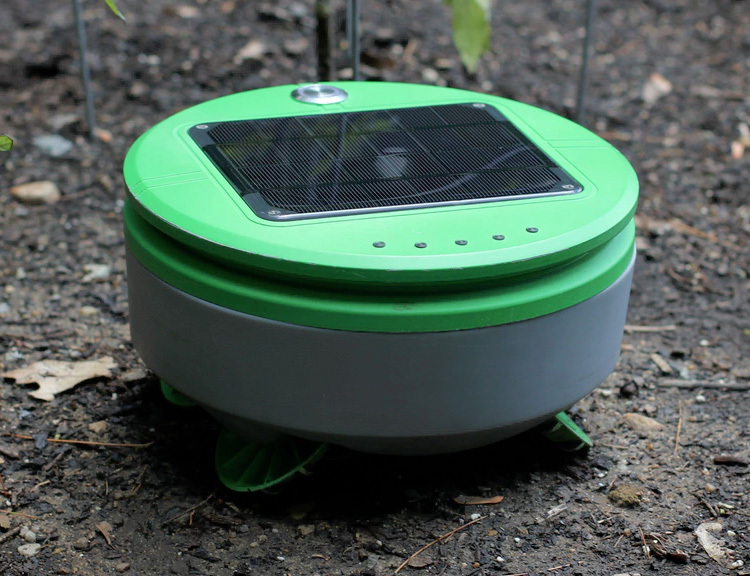 Like an all-terrain Roomba for your rose garden, Tertill is a solar-powered autonomous robot that weeds your flower & vegetable gardens. Linked to your smartphone via Bluetooth it handles all the weeding chemical-free & it’s waterproof, so you don’t have to bring it in when the rain starts. It uses 4-wheel drive & a spinning string trimmer like a weedwacker to keep your gardens healthy & weed-free. A funded Kickstarter. Powered by Worx’ 20V cordless battery system, the Hydroshot is a portable pressure washer/cleaner capable of a powerful 320psi & it’s efficient, using just .53 gal./min. 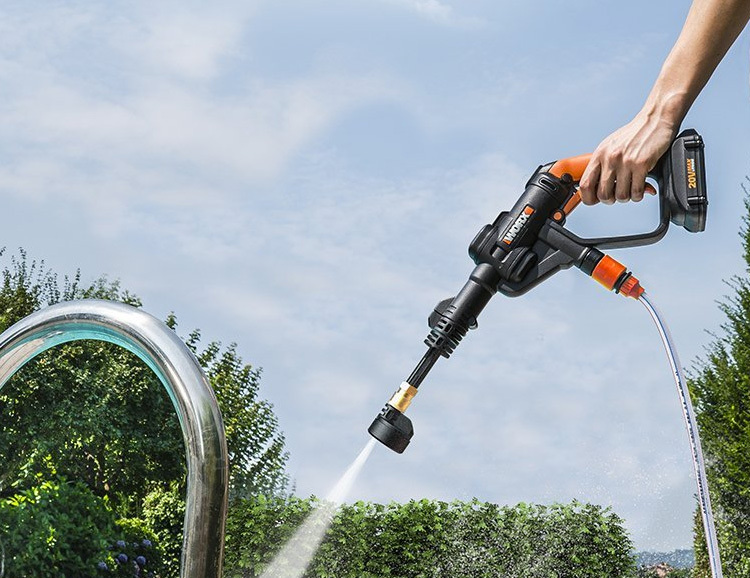 The dual-system allows for high-pressure cleaning with five spray angles including 0º, 15º, 25º, 40º, for getting into all those hard to reach spots and also the option of a gentle watering mode for use in the garden. 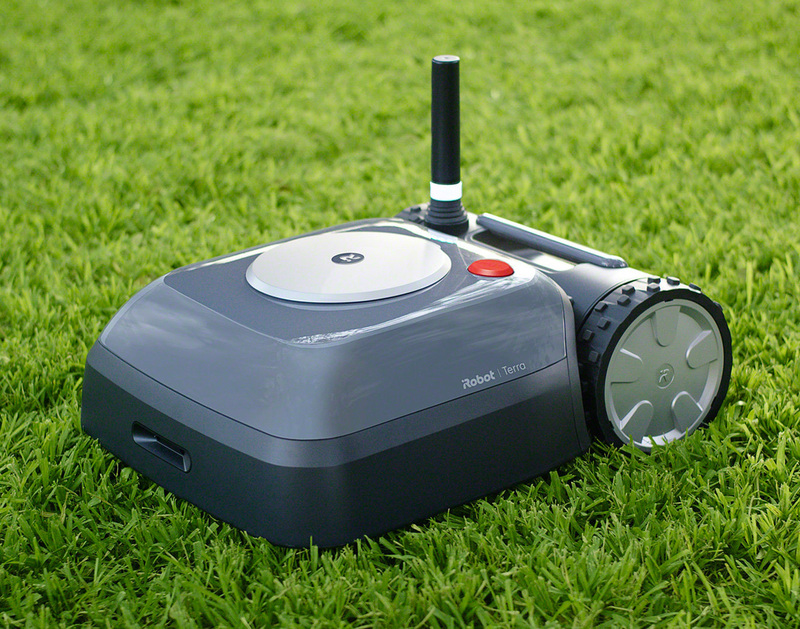 Miimo is the first robotic mower to be released from Honda in the U.S. 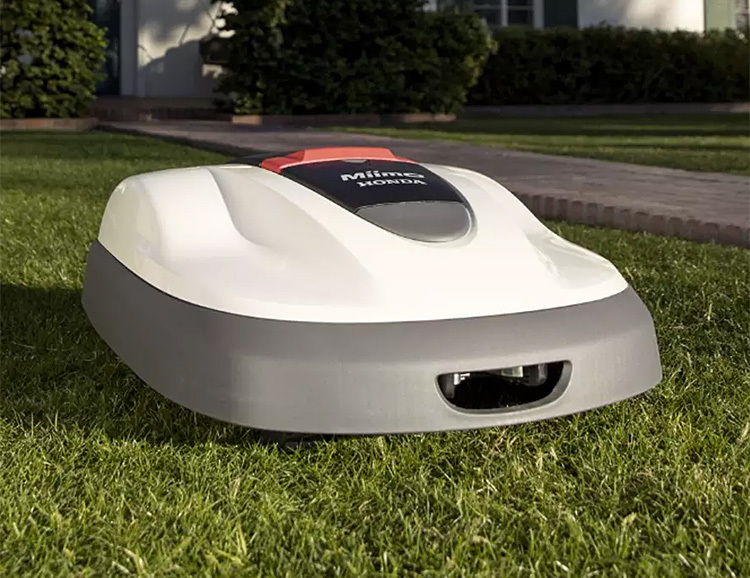 Offered in two models that can tackle lawns up to .75 acres, this autonomous mower is driven by an on-board computer, sensors, & a timer, so you can set it & forget it and go back to doing more important things, like never pushing a mower around the yard again. 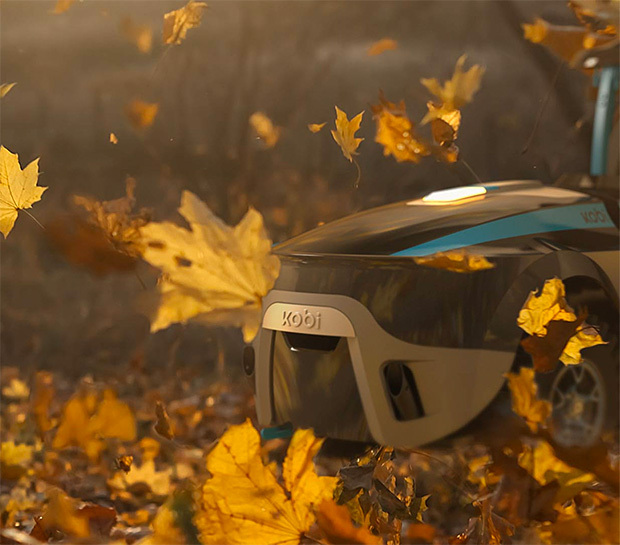 If you’ve currently got a robot cleaning your floors, you’ll like Kobi. It’s a modular, autonomous ’bot built to tackle mowing the lawn, mulching leaves & handling snow removal. It uses GPS to plot & remember its route while avoiding obstacles. When winter arrives, you can equip it with snow tires and drop it in the driveway where it will throw snow up to 40-feet. 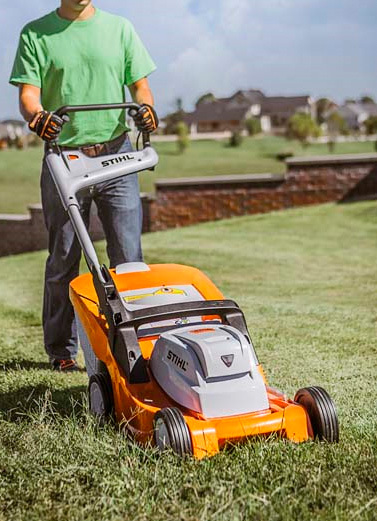 Powered by a 36-volt Lithium-Ion battery, Stihl’s RMA 410 mower is clean and silent, utilizing a commercial-grade 900-watt electric motor that provides 50% more mowing power than the previous model. It features push-button start & will mow 3500 square feet of lawn before it needs a re-charge. This is not your average wacker. Honda’s gas-powered 4-stroke VersAttach enables you to run a bunch of lawn care tools with just one motor. 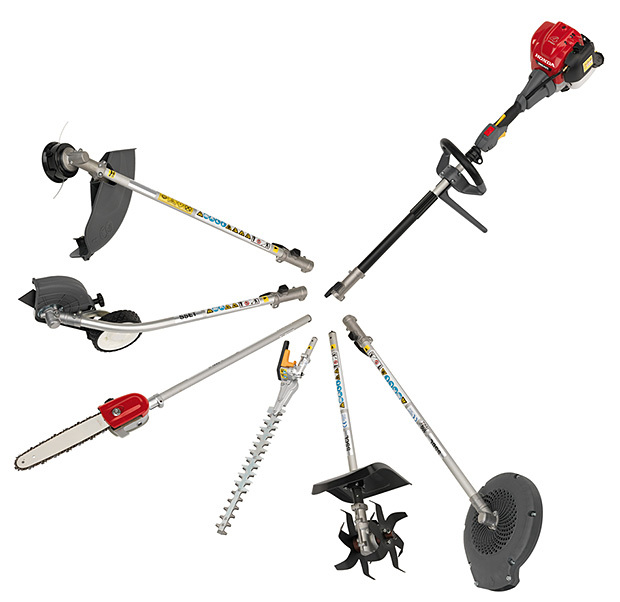 Using a twist-and-click attachments system called SureLoc, you can switch easily between your edger, line trimmer, blower, hedge trimmer, pruner and cultivator. Sunny summer days are too precious for messing with a lame lawnmower. 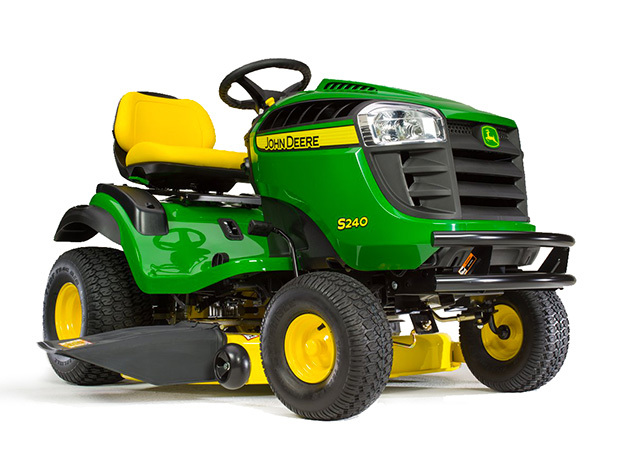 But John Deere has just released the S240 Sport, a fast, efficient residential ride-on mower powered by an 18.5 hp Kawasaki FS Series engine & a smooth K46 hydrostatic transmission.